I really enjoy that this match is some old guys fighting a bunch of kids and their dad. It’s what I imagine a curling match gone wrong looks like. Just picture the opening donnybrook in the parking lot of some rec center. It feels right. Yo, what the hell is Juice wearing to the ring? He looks like an extra in a Puffy music video. Wait, no, he looks like the third member of LMFAO that we never heard about because he left early on to go make an energy drink company. And not like anything that was really successful either. You can probably find Juice’s Zoom Juice at your local dollar store. When you meet him, he hands you a business card with his LinkedIn and Soundcloud information on it. This new look is that of someone that is one rainy Saturday away from starting a YouTube channel with “Smash Mouth is Actually Good” as their first video. After this match, Taichi is a welcome new addition to the heavyweight division. I’ve always been a Taichi fan, but setting my bias aside, he really proved that he belonged in this match. Taichi has really upped the quality of his work in the past year and a half and continued that roll here. His usual cheating ways are still intact, but he ignored his usual trope of stealing the ring bell. With Naito involved in the match, there was plenty of cheating to go around in this one, all culminating in Naito breaking Taichi’s mic stand over his head. DID YOU KNOW? : There is currently a ring around the Earth made entirely of pants that Taichi has launched into space. Following the Taichi/Naito match there was a quick promo video promoting the Rey Mysterio match as New Japan’s Long Beach show on March 25th. Did nobody tell New Japan that Rey is hurt and probably won’t be on the show? This was two large men bludgeoning each other and it was everything I was hoping it would be. There are a couple times every year that Makabe actually shows up to work. Today was one of those days. The early goings of the match are slower grappling, reminding me that Okada would probably be just as happy if he spent his days wrestling old men in Mexico. This was honestly the downfall of the match. 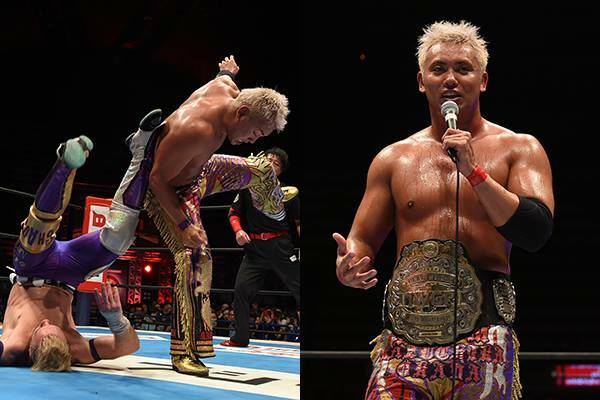 Okada spent most of his time trying to ground Ospreay, which while it is a sound and realistic strategy, it doesn’t make for the most interesting match. Ospreay was fighting from behind for the entire match and outside of one of Okada’s patented 2.9 kick outs, there was never a point where it looked like Ospreay had any chance of winning. The story here was that Okada wanted to test himself against Ospreay, but never really saw him as a threat. The flaw in the match structure was that Ospreay never really proved Okada wrong. 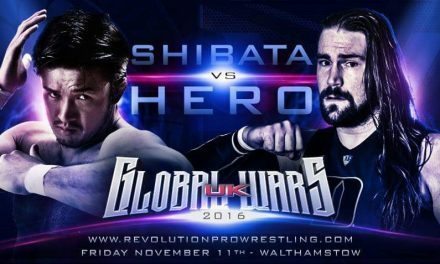 We saw that Okada is on a whole other level from Ospreay and while that might be the more realistic story to tell, it certainly isn’t the most compelling. Contrast this with the Taichi/Naito match where Taichi never felt like he wasn’t on Naito’s level. This was a fine match, but it wasn’t up to the standard of a New Japan main event. More than anything, this was hurt by the caste system put in place to separate the two weight divisions in New Japan.